This disc is unique for us. 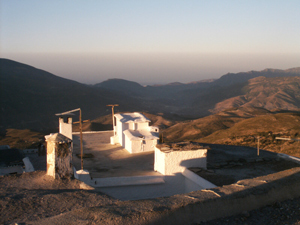 It was recorded in just three or four sessions in a rustic house in the Sierra Nevada Mountains of Spain, with the Mediterranean Sea in the distance. It was a very special atmosphere: solitude, nature, friendship. Under these conditions, we felt we could get something good. We were attracted by some wonderful scores from composers such as Satie, Falla, Debussy, Garcia Lorca, etc, but did not wish to play them just as they are: we wanted more than to read and record. So we decided to add something of our own, recreate the themes from a personal perspective, without departing from the spirit of their creators. 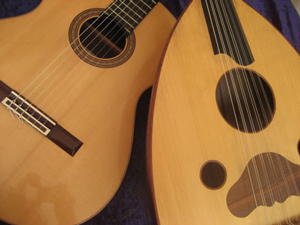 Besides, we were interested in playing unusual instruments different from those normally used in this type of music, like the classical Spanish guitar or the Arabic oud, and even exotic ones like the Turkish santur, to get different, magical tone colours. We believe we have achieved our purpose. This album contains the scores of those great musicians and our own contributions, inspired by the written notes of the original composers. 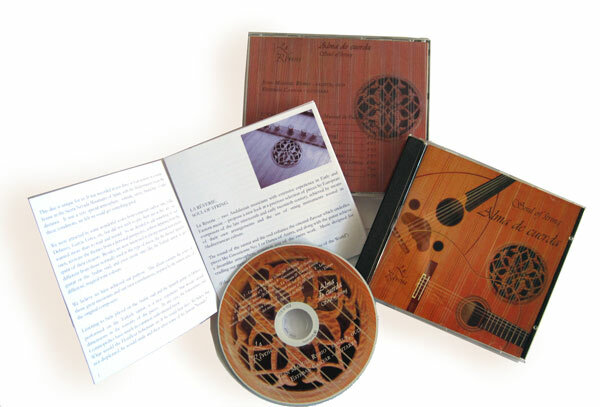 Listening to Satie played on the Arabic oud and the Spanish guitar, or Debussy performed on the Turkish santur, is a new experience that reveals unused dimensions in the sonority of the pieces. 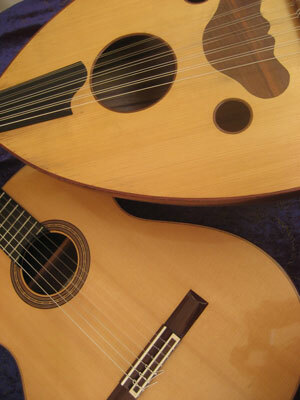 In any case, the Gnossiennes and Gymnopédies have much in common with oriental music. What would the Honfleur bohemian say if he could hear this? We believe that, not displeased, he would smile and then utter some of his famous «boutades». Dreaming is for man’s conscience and his madness what dusk or dawn is to day and night. We can not resist the charm that awakens in us to know, to discern what is happening in the open cracks between worlds, between what is and then ceases to be by the eternal law of continuous motion that makes everything lived flourish and perish without rest. Expiring life which avoids grasping anything that is not a mere impression, a glimpse of the Present that demolishes every solemn wall built to contain the unavoidable transit of every existing thing. Between the late nineteenth century and the first third of the twentieth century comes the Impressionist movement in Europe, growing in all major art forms. Ripping the veil that separates the two centuries, Impressionism is an example of a historical crucible where the ancient but still vibrant romantic past and what is already an avant-garde movement are inextricably mixed to give birth to a new understanding of the recreation of life that is Art. One now seeks to «impress» the senses and consciousness with a few strokes on the canvas, with a few black and white notes on the piano that occur by way of impressions, bridging the linear continuity of time and meter as it was understood up to then. 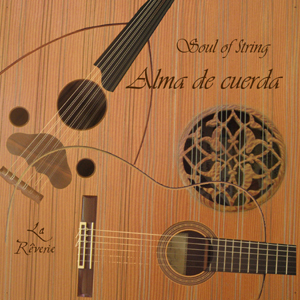 New sounds are sought, new but old or traditional sonorities. 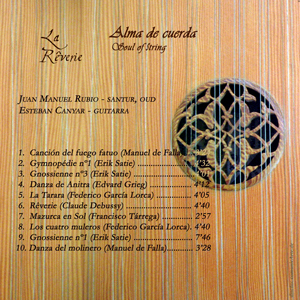 Composers such as Claude Debussy are fascinated to discover the Eastern gamelan orchestras, Erik Satie minimalizes his delirious creations, echoing in his music the medieval structures he liked to recreate, Manuel de Falla searches in his Cadiz soul for echoes of flamenco and of the Renaissance and Baroque polyphony that lent such inspiration to his compositions, and Federico García Lorca dusts off the old traditional Spanish ballads, giving them poetical magic. In this recording La Rêverie seeks to unravel the mysteries of the simplicity of everything beautiful which inhabits music. Very much in line with the Impressionist artists we honour here we have resorted to the sounds of the guitar, the santur and the oud for the magic and timbric novelty with which they recreate this repertoire. We can not avoid occasionally hearing an emerging piano, the instrument for which most of these pieces were composed, in the vibrational fusion of our instruments. We have also devoted special attention to the recreation and appropriation of this repertoire, giving a special place to the freshness of improvisation, which is the best way to prove that the music played is the result of that unique moment when it is being played. 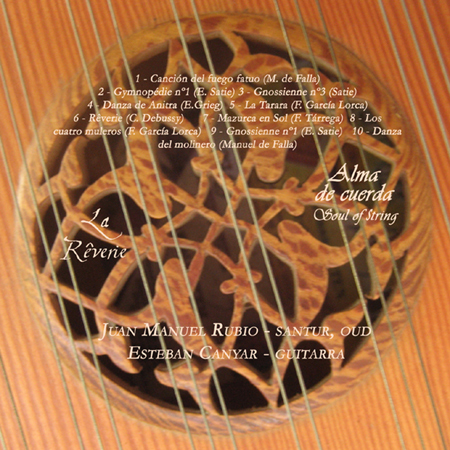 It links this repertoire with what has in many cases for Falla, Debussy or Satie been one of the sources of inspiration: traditional music and instruments. In this regard we have added another author whom, while lying beyond the limits of the historical period that we have been proposing here, it was an irresistible temptation to include because of the interweaving of his work with traditional music and his place as a representative witness of the transition between the musical period before and the period in question: Edvard Grieg. This music that is just as atavistic as it is avant-garde for our ears reminds us of the strength with which the inexorable passage of time becomes present without remedy. 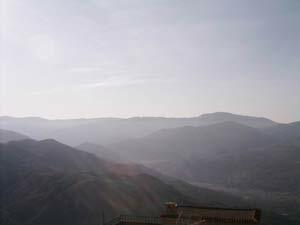 We can only contemplate the mystery of that which can no longer avoid being among the mountain terraces of the Alpujarras and the «transapparent» blue and white tides of the Mediterranean, where this recording was given birth. Music with a soul of stone, string and sea which is and must be, as the wave that flirts with the land on the twilight of a new sand. You can order the album (format: mp3 or wav) together with the artwork (pdf files of cover, booklet, backcover and label for printing) via our contact form.